I titled my blog “It’s a Strong Tree that Withstands a Hurricane” as I believe that a strong, healthy body is a formidable defense against cancer, similar to how a strong tree can withstand the fierce winds of a hurricane. A body that lacks nutrients or that suffers relentless stress is at a disadvantage. Stress, particularly when perceived as inevitable and uncontrollable, is a key factor in vulnerability to cancer. I will discuss nutrients later, but for now, I want to talk more about stress and trees, specifically the redwood trees in Northern California. These trees are the tallest trees on earth, yet the roots are actually quite shallow. 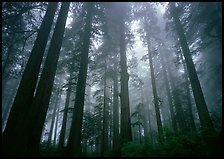 The tallest trees on the earth have a shallow root system. They stand tall because they stay close and intertwine their roots with the trees around them. This strong support system allows them to stand tall whilst otherwise they would fall. In order to avoid the beast called cancer and in order to beat this beast, we need to intertwine ourselves with a solid support system of friends and loved ones. Some women are lucky enough to have a built in support system of family and friends. Others find that their current circle just doesn’t understand or are even involved in toxic, draining relationships. The immune system is often suppressed in people who feel they are not able to change the negative conditions of their lives. Situations in which a woman has a physically or emotionally abusive man in her life or is stuck in a non-nurturing marriage or even in one where a husband is unable or unwilling to support his wife’s emotional needs can trigger a cascade of biochemical changes that help create a fertile field for breast cancer to grow. This is not to say that everyone involved in a toxic relationship or who has relentless, unaddressed stress will develop cancer. However, to avoid a recurrence of breast cancer, you need to change the environment in which cancer was permitted to grow. If you suspect negative relationships to be part of the cause, it’s time to make some changes. Make a commitment to yourself and eliminate the toxic relationships in your life, celebrate you and make sure you are a priority in life, not an afterthought. Consider stress reducing therapies such as Reiki, yoga, meditation, or kinesiology. Join a support group to talk through your frustrations and to connect with others. Support groups and online support groups and chat rooms give cancer patients a new place to belong. Many of us have joked “once you have breast cancer, you become a member of the club…the initiation is rough, but the women are amazing.” Since my diagnosis, I have met the most amazing people, met so many wonderful new friends. Friends who understand what is like to live with cancer, to be declared NED but who still look over their shoulder every day, and who understandably fret over every scan, odd symptom and toxin that might cross their path. If your husband says he doesn’t know you anymore, that cancer has changed you, take him along; let him see that your cancer fears and insecurities are not unique to you. If he still doesn’t get it and is unable to support you, divorce him (ouch, did I say that?). Embrace life, live life and love life….it’s yours and it can be gone with a blink. May your tree stand tall. This REALLY resonated with me, especially the line that “….you need to change the environment in which your cancer was permitted to grow…” I take care of my body, and have no history of BC. It was a shock when I was diagnosed. I truly believe that it was the stress of toxic relationships which allowed my cancer to grow! I have since made changes in both my personal and professional life and despite cancer….I have never been happier! Thank you Cancer Warrior, I am so glad to hear that you have addressed these issues…you are not just a survivor, you are a thriver!